Commissioned by Channel 5's Gadget Show. 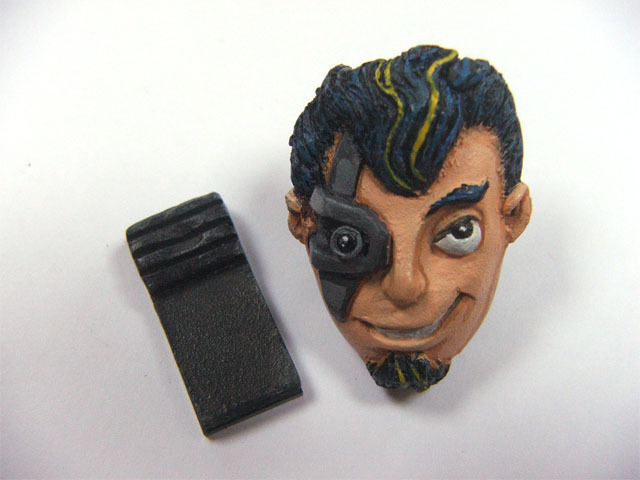 The brief was to produce a wearable USB memory device that would appeal to the vinyl toy collectors market. 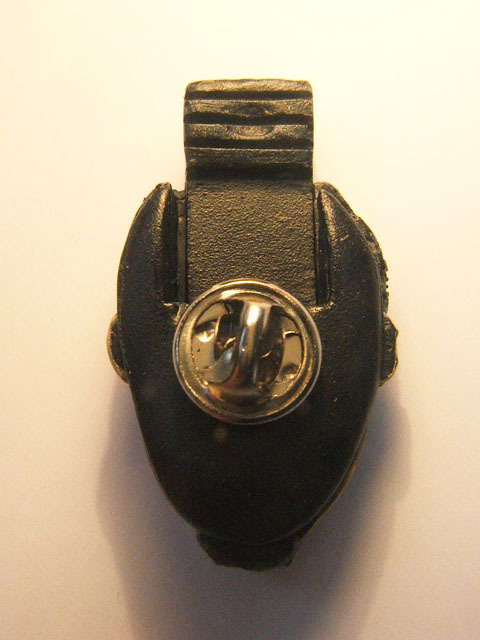 This design was intended to be as compact as possible, so the USB memory stick is reduced to a minimum and slides right inside the head when not in use. 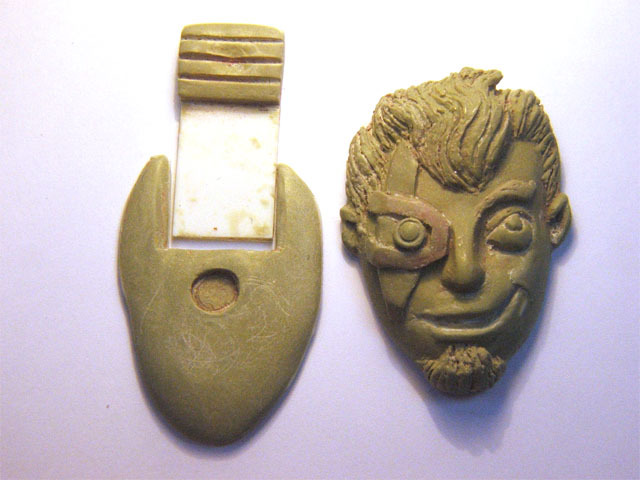 I sculpted the three main components (front, back and USB holder) in Milliput on formers built from polystyrene sheet. I cast the finished pieces in polyester resin using a silcone mould. It contains a fully functional 2Gb USB memory stick.